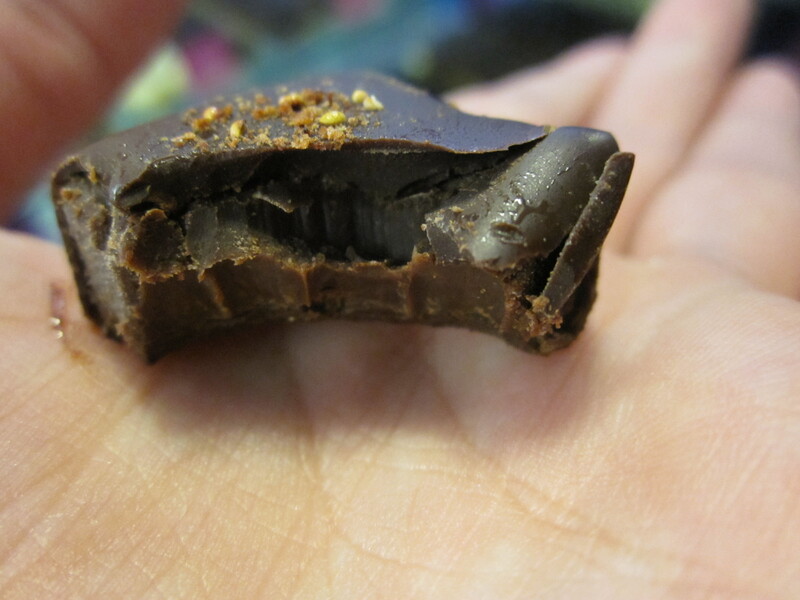 This post accidentally continues a series of kind of ‘Anti-Diet’ posts. 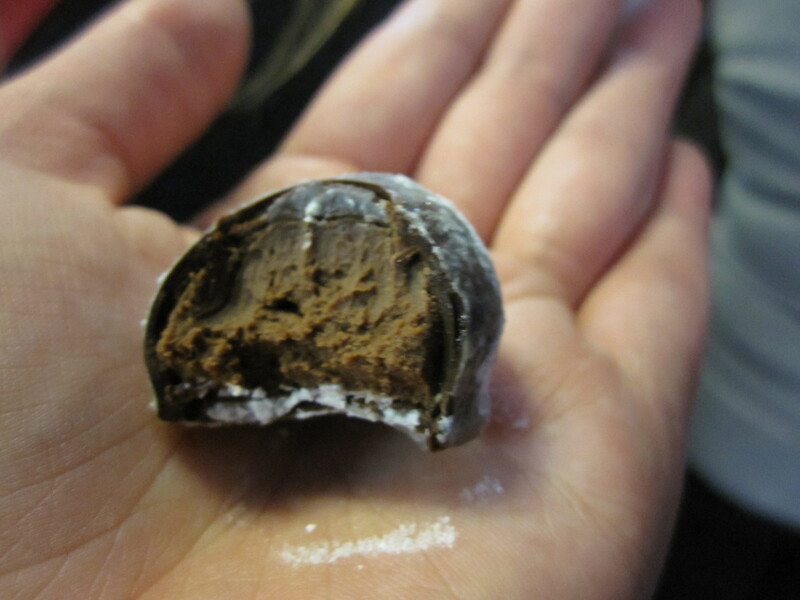 Don’t get me wrong, I admire everyone being good after the festive binge and currently I’m sipping on a caffeine free tea but sometimes – actually a lot of the time many things are made better with a healthy dose of chocolate. 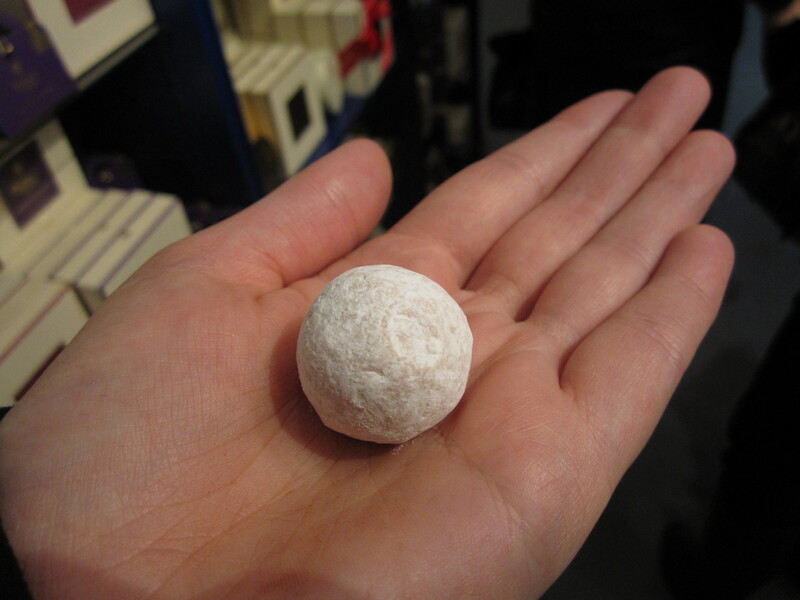 Warning: The following pictures maybe harmful to your diet. 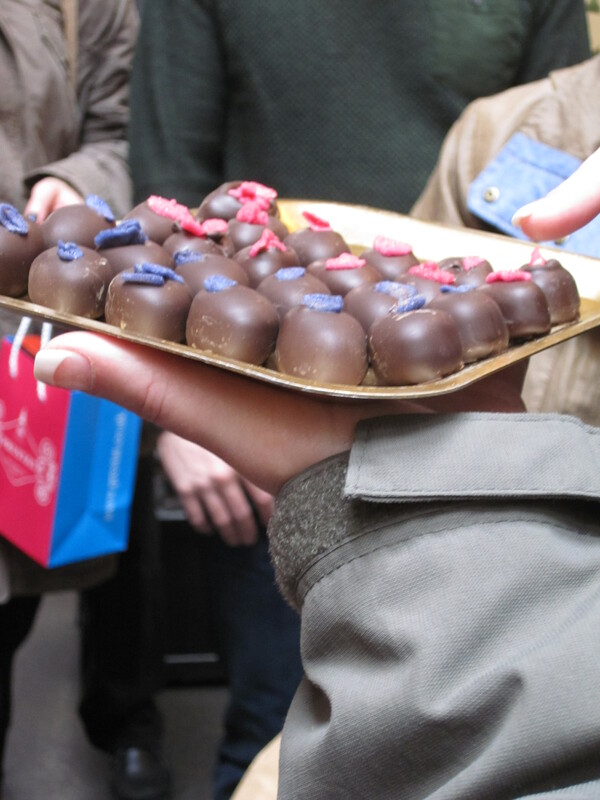 Way, way back in November I arranged for my mum, my cousin, my auntie and myself to spend the morning tottering around Mayfair, London on a chocolate tour. With the fabulous Lindsey as our guide from The Chocolate Ecstasy Tours as our tour guide. 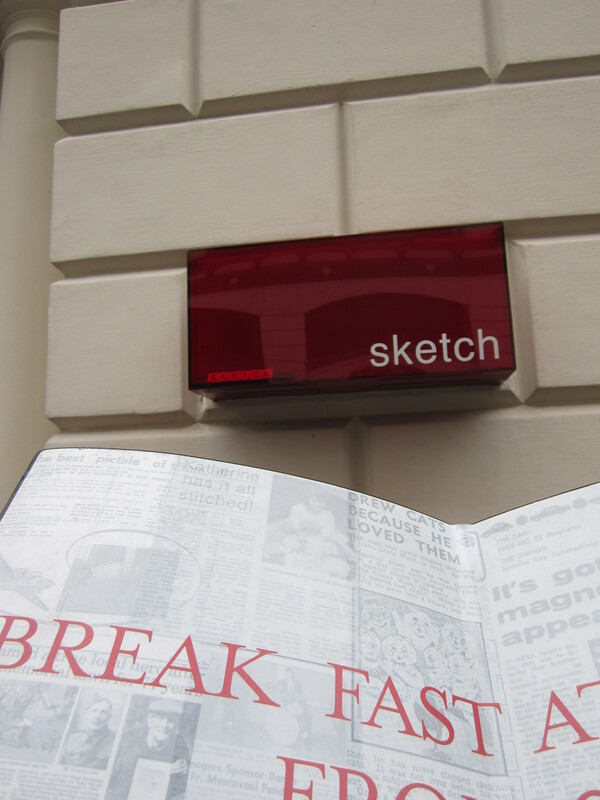 We met up with the rest of the group outside the very cool Sketch. This 18th century building has been converted to hold a unique blend of food, art and music in the form of three restaurants (one of which holds a Michelin Star) and two bars. Each one with more unique décor than the one before. 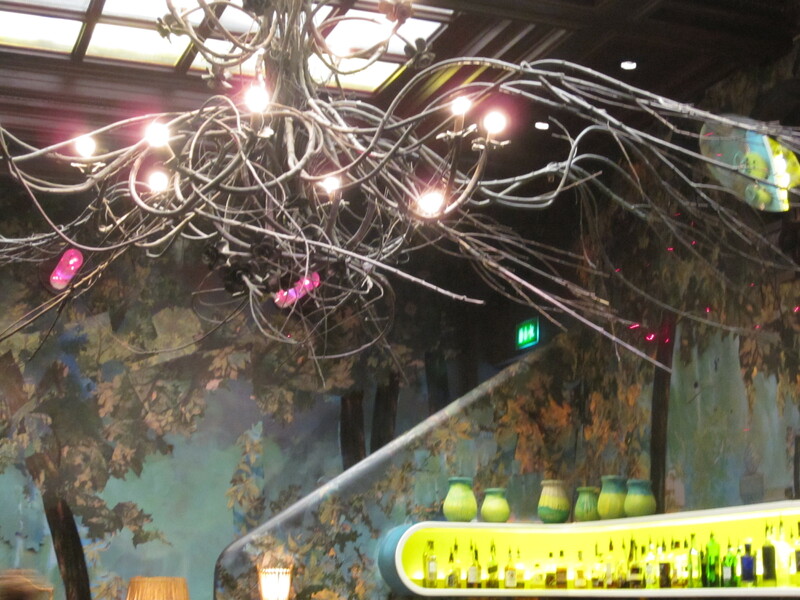 My favourite was The Glade with it’s wooden floor print carpet and branch chandelier from the ceiling and Lego models. We settled in to The Parlour to get a brief background of the wonderful world of chocolate being stared down by painting of dogs dressed as army officers. 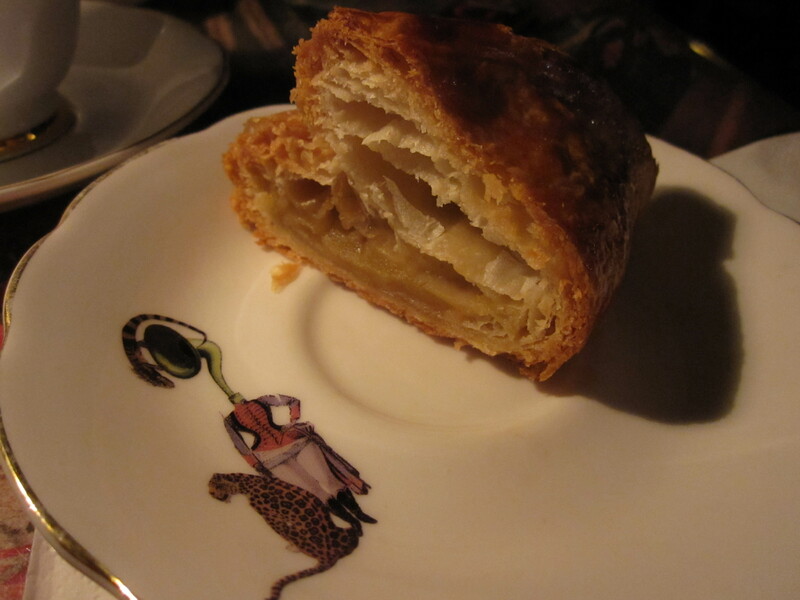 We tucked into one of the best pastries I had ever tried in my life. The buttery, flaky, with a slight salty pastry crispened with the caramelised sugar top hides a middle of sharp apple which is a dream combination. 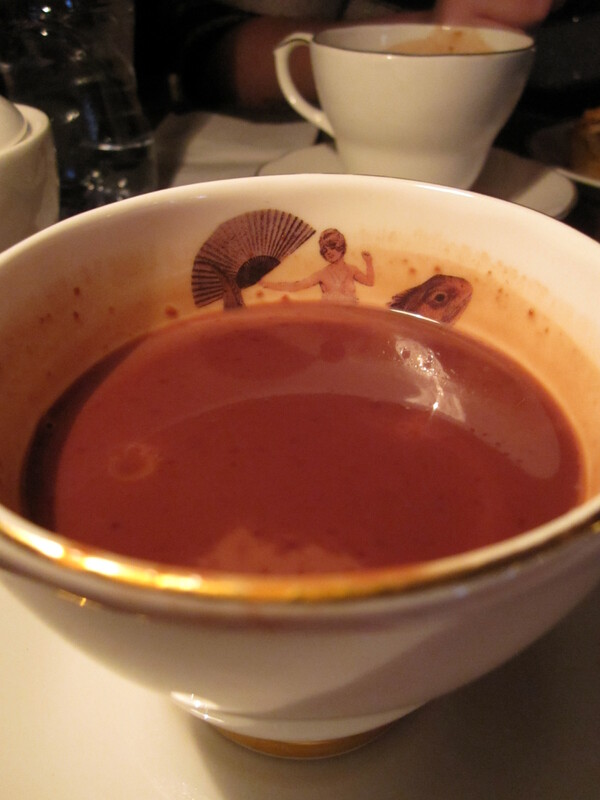 Now it wouldn’t of been a proper chocolate tour without at least one steaming rich cup of hot chocolate. Dark and thick enough to stand a spoon in, small sips are necessary to get though this beauty . They could of left me here to sip on hot chocolate all day. 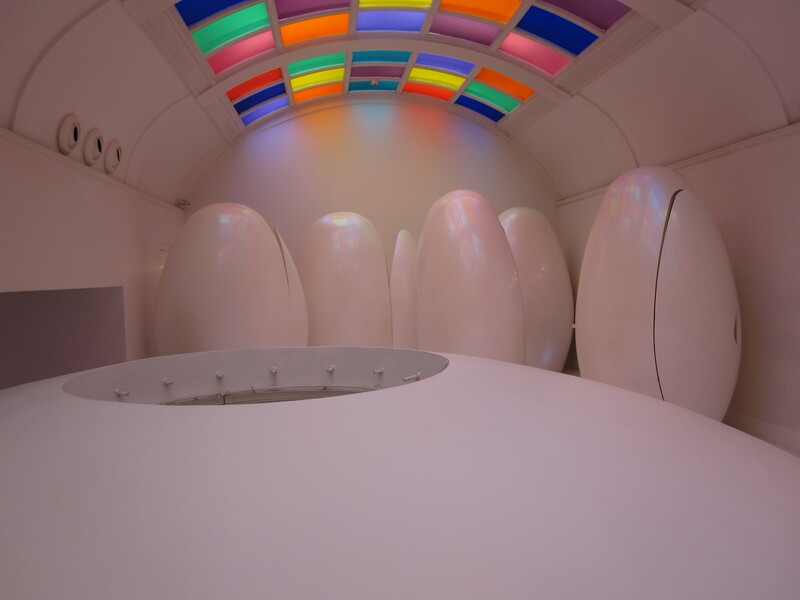 But then I wouldn’t of seen Sketch’s slightly crazy toilets, you heard me right toilets…. Just check them out! Surely I must of time travelled from The Parlour?!? 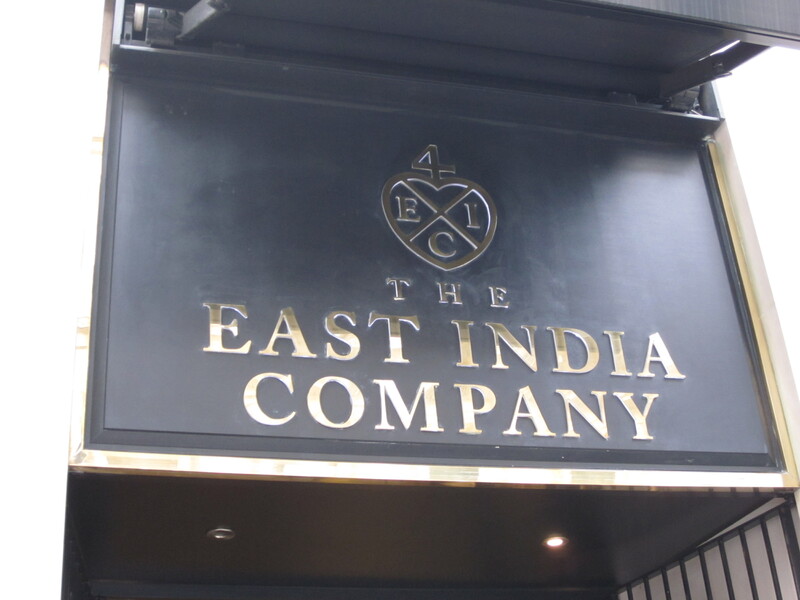 We stepped next door to our next step on the tour at The East Indian Company. 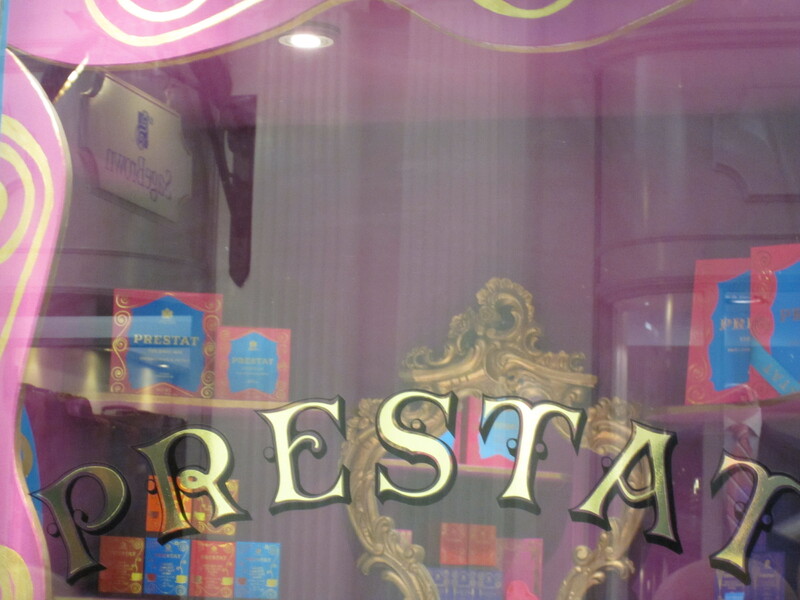 Rich deep colour and gold adorn this beautiful shop. Granted a Royal Charter by Queen Elizabeth I in 1600 to explore the East. Bring back stocking never before seen silks, porcelain, coffees and spices from around the world and more importantly bring back chocolate and tea to Britain. 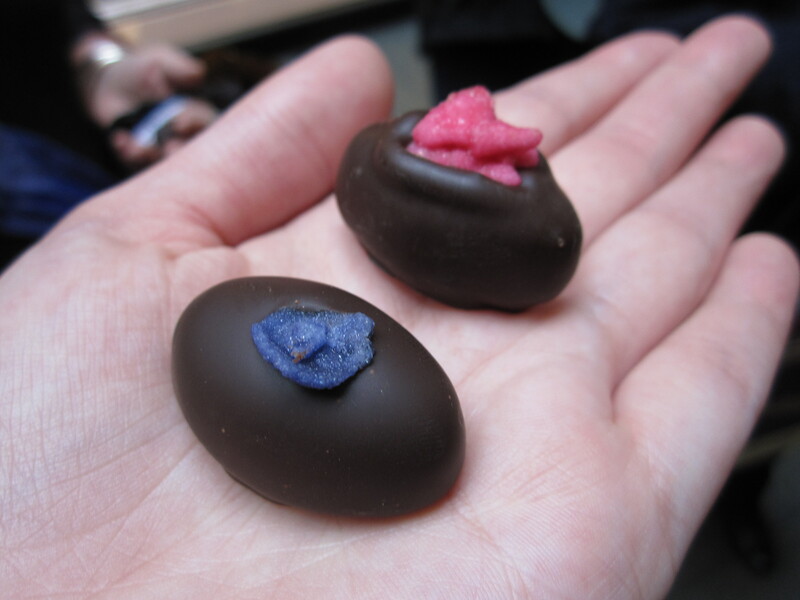 Nowadays, they specialise in artisan tea, coffees and chocolate, my personal favourite was the enrobed raspberries in dark chocolate as well as the milk chocolate enrobed caramelised pecan nuts. 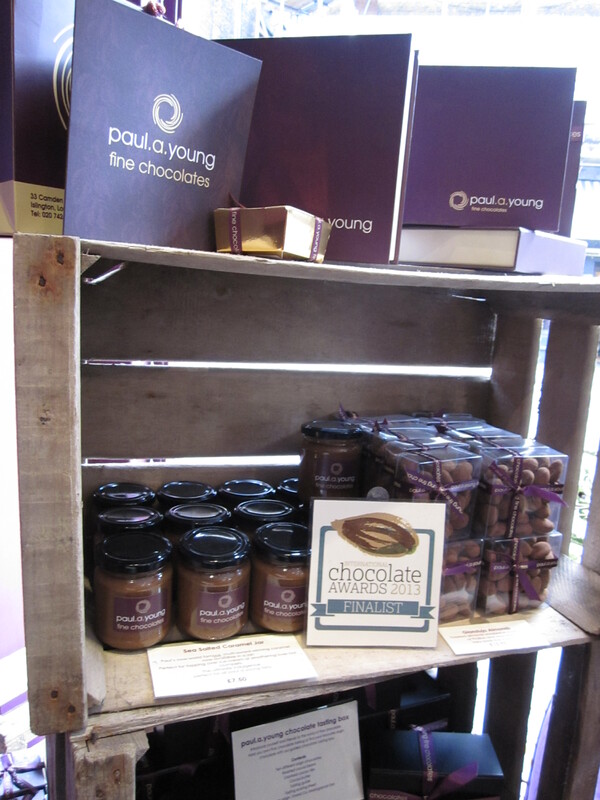 There is also a selection of chocolate bars using the specialist spice knowledge to create bars such as chocolate flavoured with cinnamon leaf, nutmeg and red peppercorns. 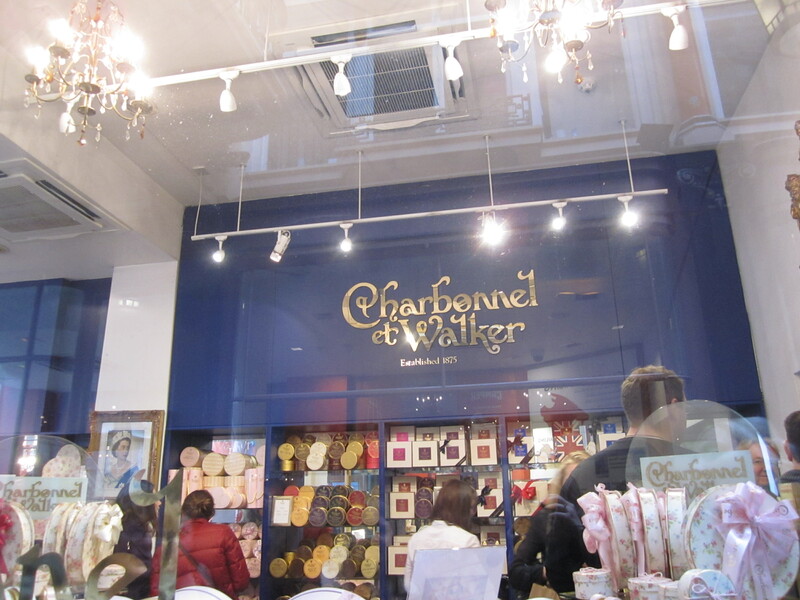 We then hot tailed it over to Soho to pay a visit to my cousin and mine favourite chocolate shop. 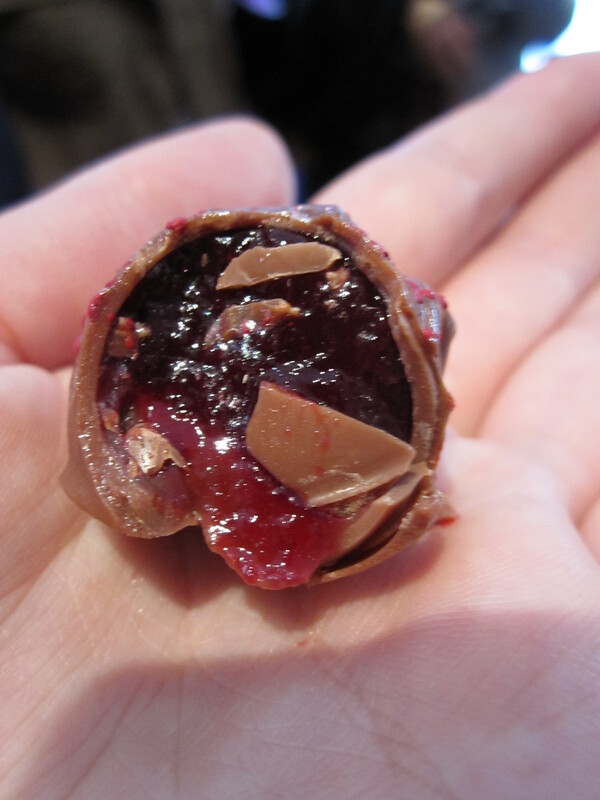 You’ve heard me rant about them enough recently on here and the total gorgeousness of their Sea Salt Caramels and Peanut Butter and Raspberry Jam truffles (see the nibbled chocolate below- because it didn’t last long!). PAUL.A.YOUNG of course! Check them out. The next spot is one of the newest kids on the foodie block – Carpo. 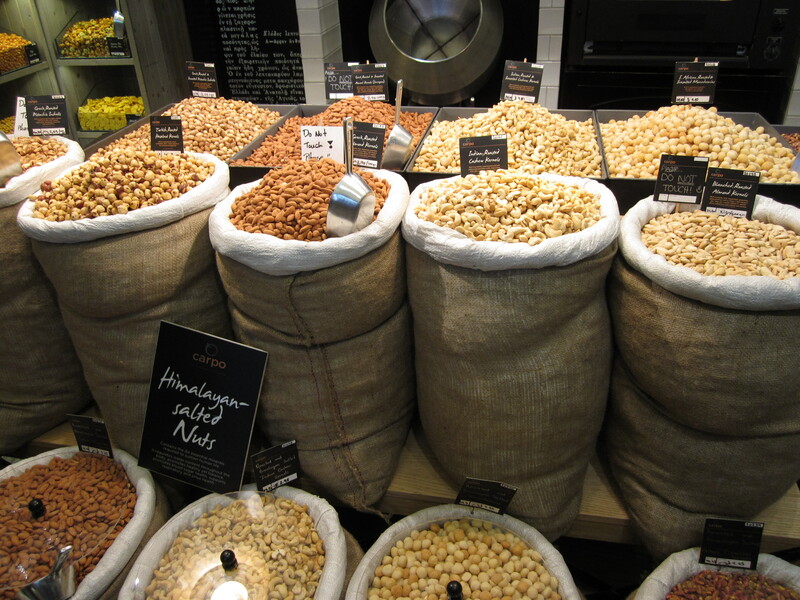 A beautiful bazaar of ingredients from this first store abroad of Greek family company Carpo Hellas, one of the fastest growing companies in Greece in processing, packaging and merchandising premium nuts, dried nuts and honey. 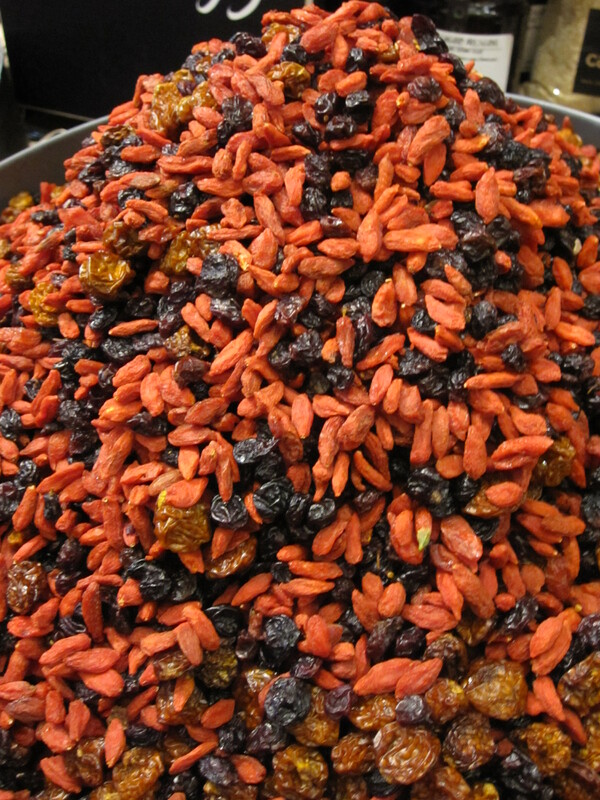 Beautiful sacks of nuts such as sea salted cashews are something to marvel. 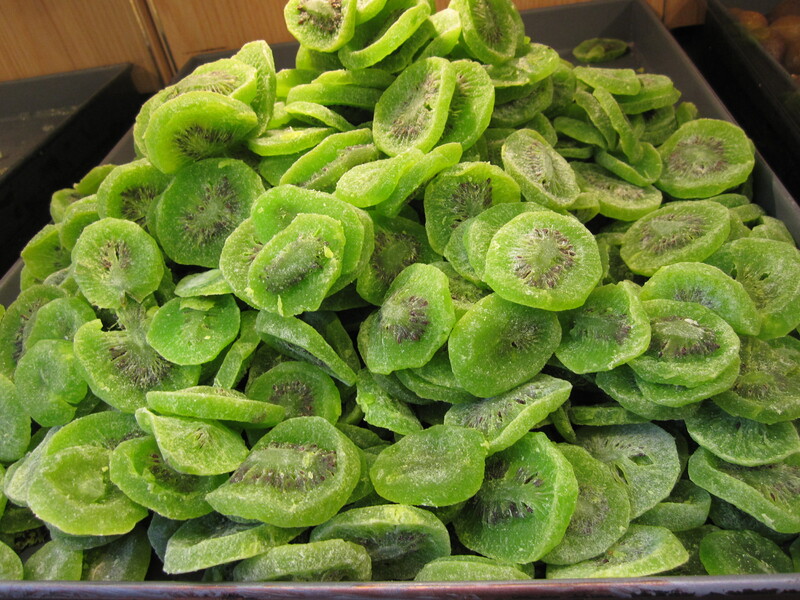 Colourful glacé fruit mountains including the vibrant kiwi which just screams to be photographed. 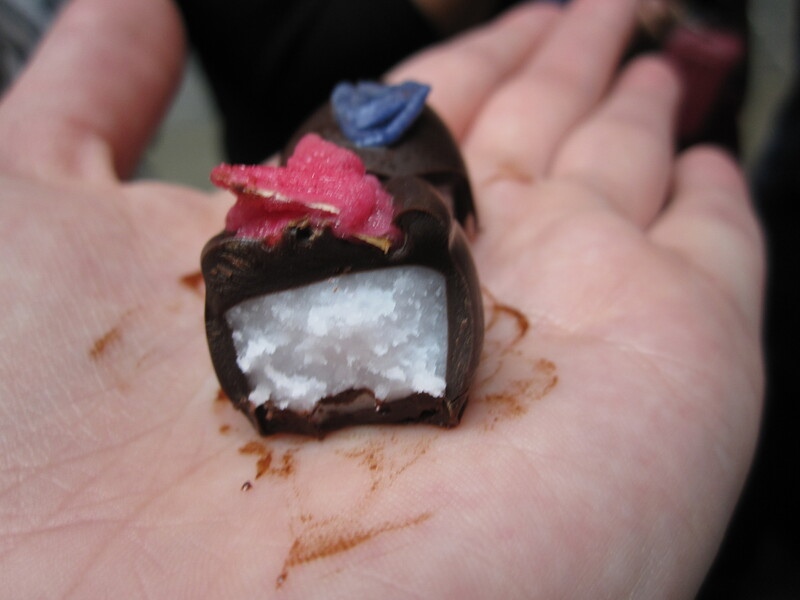 But we were there for the chocolate. 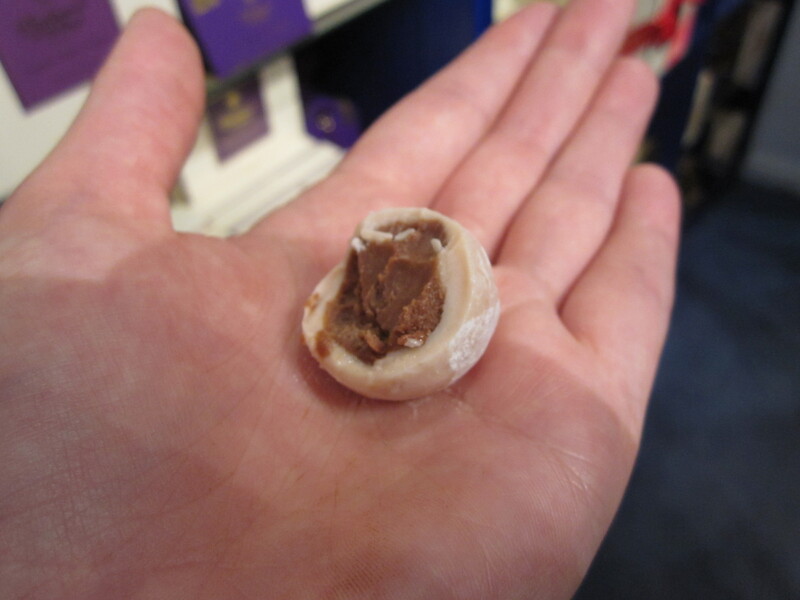 I tried one of the rich pralines with caramelised hazelnuts which just melted in the most gorgeous way. 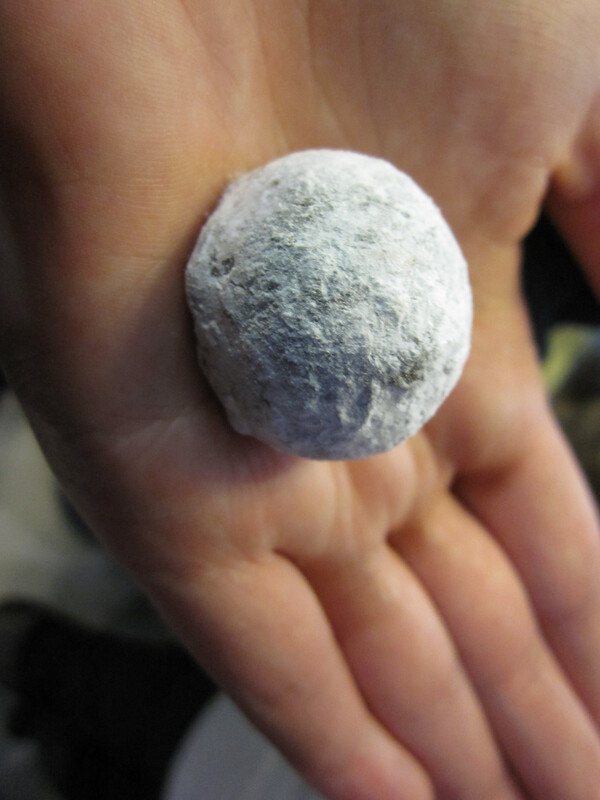 Can’t wait to go back to try some of the Greek coffee which smelled divine. 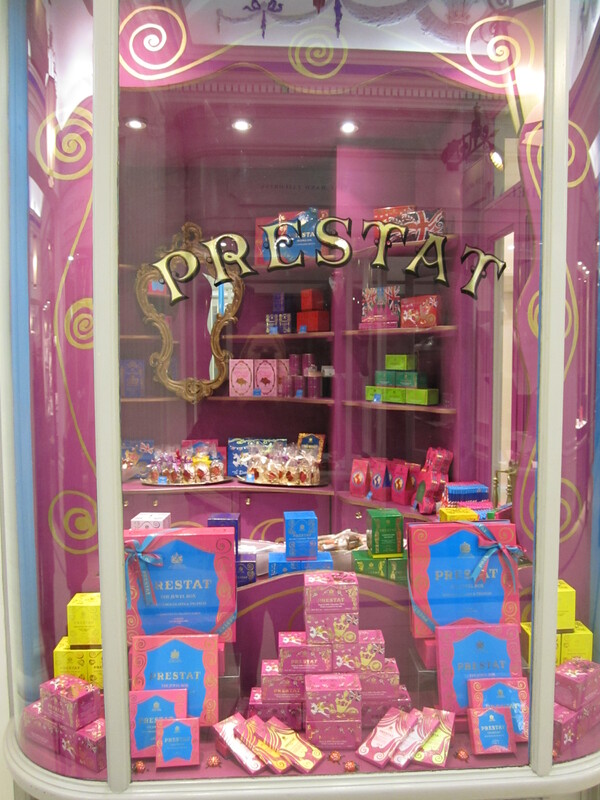 For one of the most colourful chocolate shops on the tour was Prestat, established in 1902 and it’s easy to see why they have had so many famous fans over the years, such as Roald Dahl, mentioned Prestat truffles in his novel My Uncle Oswald. 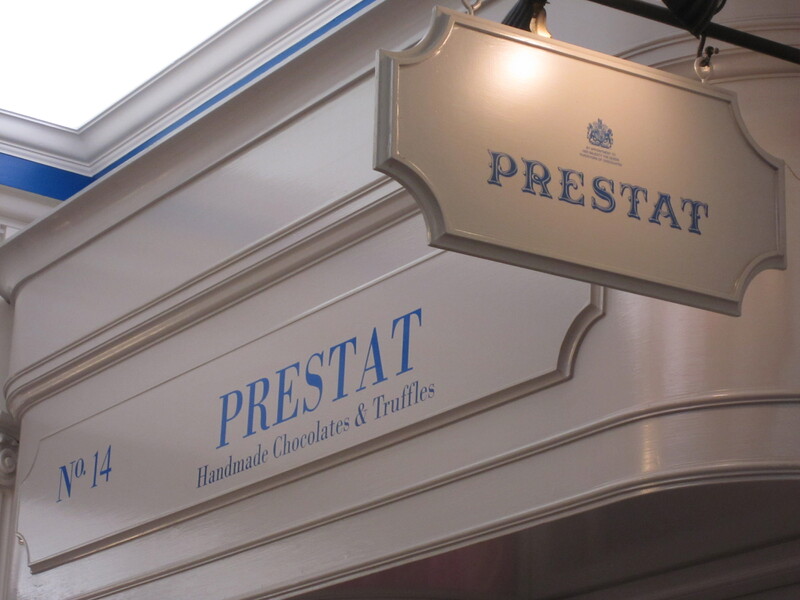 In this novel, a scheming temptress seduces numerous geniuses and royalty of the 20th century with a love-potion inserted into Prestat truffles. Oh Errrr! With the vibrant shop front you can see where he got his inspiration chocolatey world in Charlie and The Chocolate Factory. 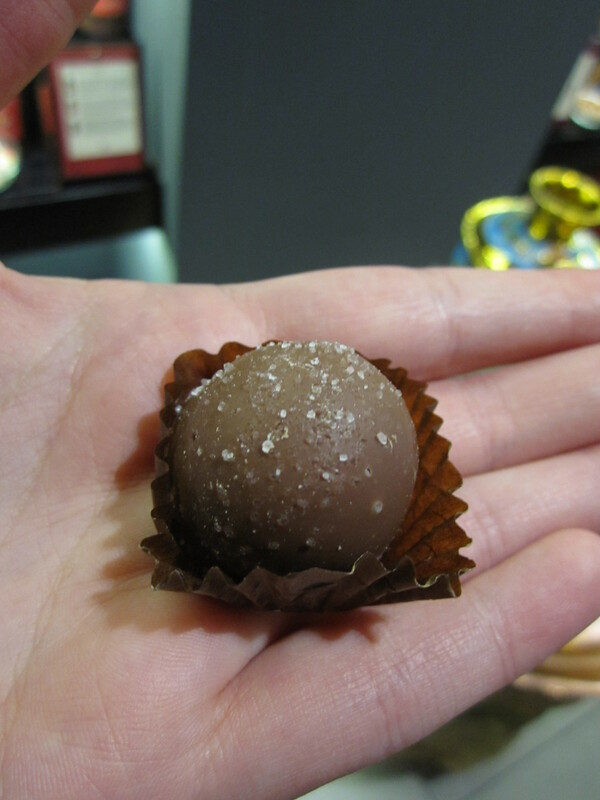 We tired their famous Milk Chocolate Marc de Champagne Truffle as well as choosing another truffle to try out. 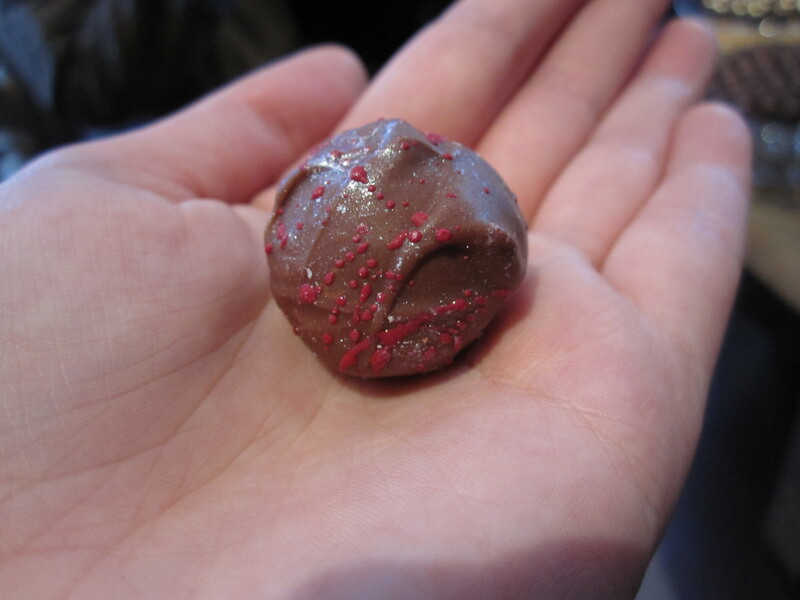 I went for their Strawberry and Balsamic Vinegar truffle, with a rich sweet flavour with a slight tang from the vinegar. 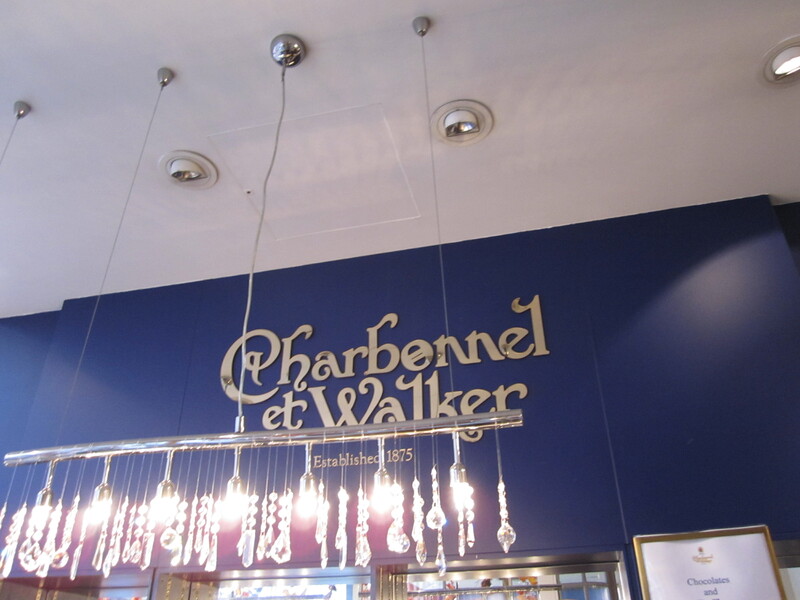 Sadly we had arrived to our last stop and the no less then the decadent Charbonnel & Walker. 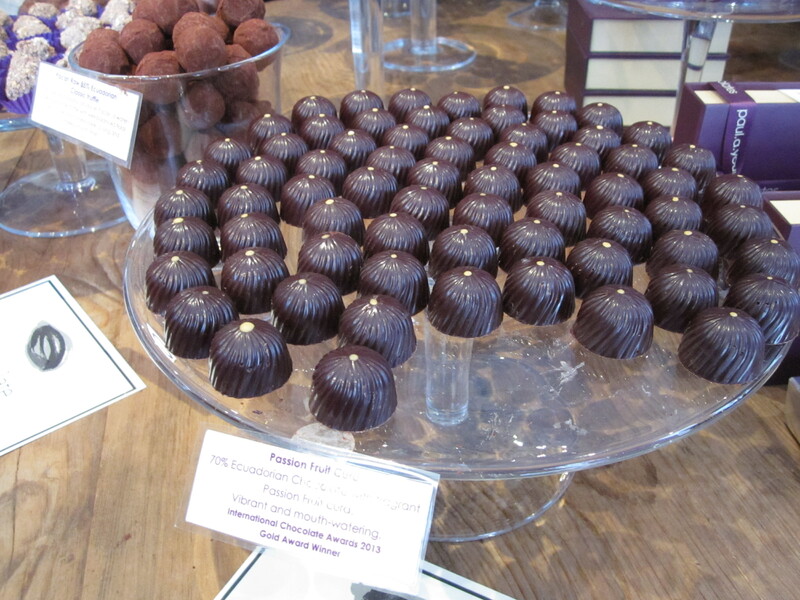 Producers of the Queens favourite chocolates the English Rose & Violet Creams. 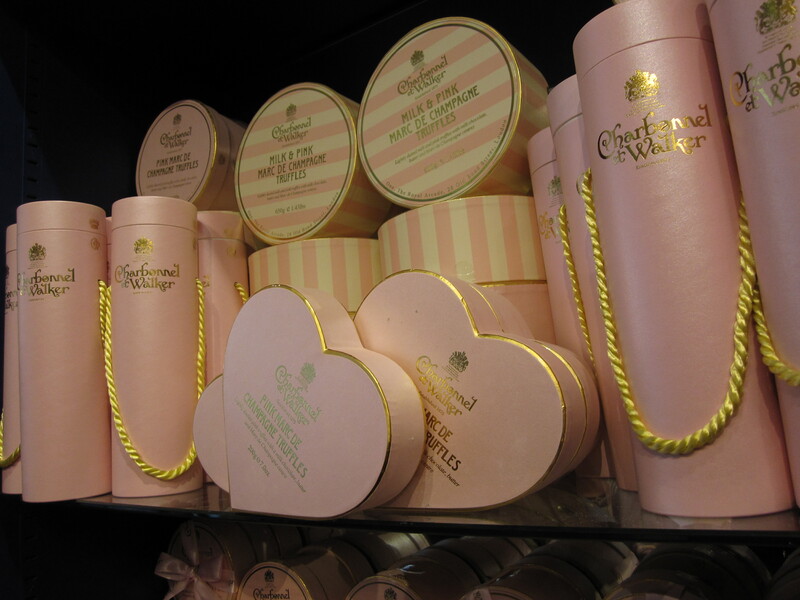 Which I can appreciate are a quality chocolate but can’t say I was a fan of the ultra perfumery chocolate. 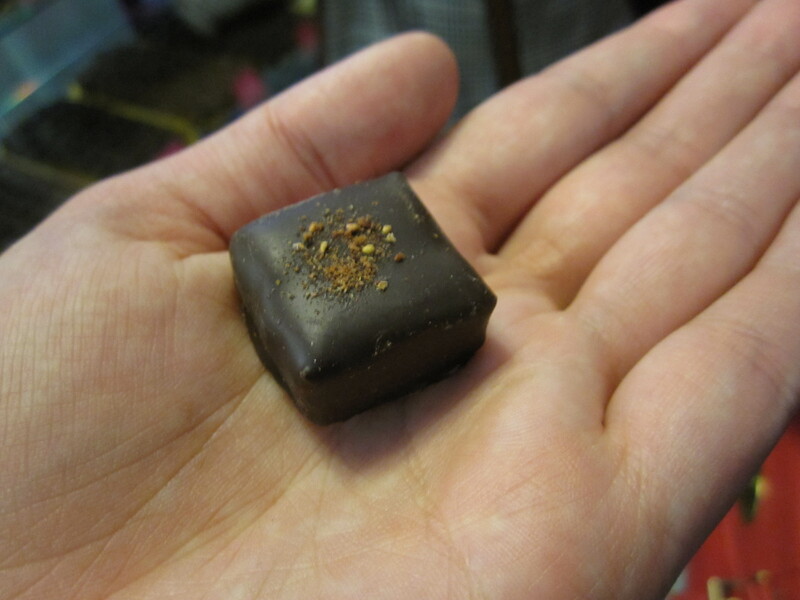 But their Marc de Champagne truffles now that was one classy chocolate. Not actually containing champagne but a brandy made from the grape skins, seeds and stalks, which are left from the pressing process in the first stages of Champagne production. 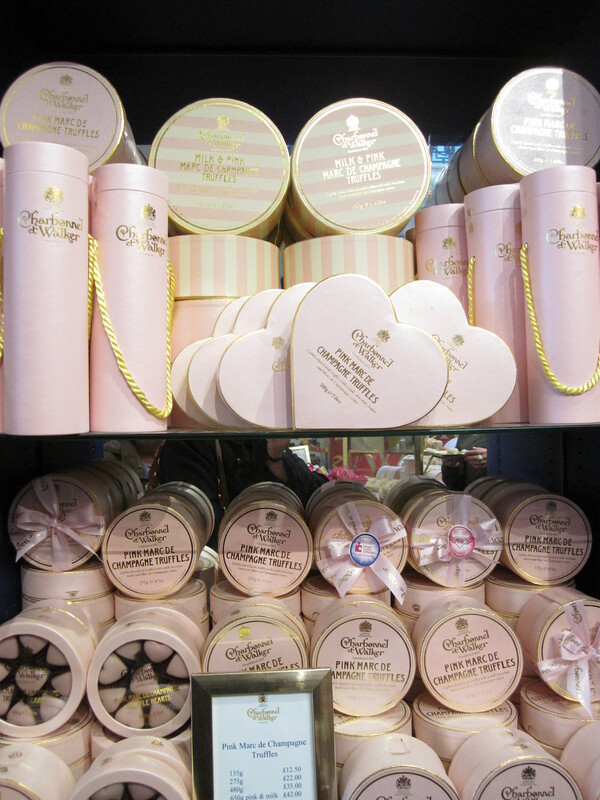 Delicious and equally packed up in beautiful boxes and flourishes. 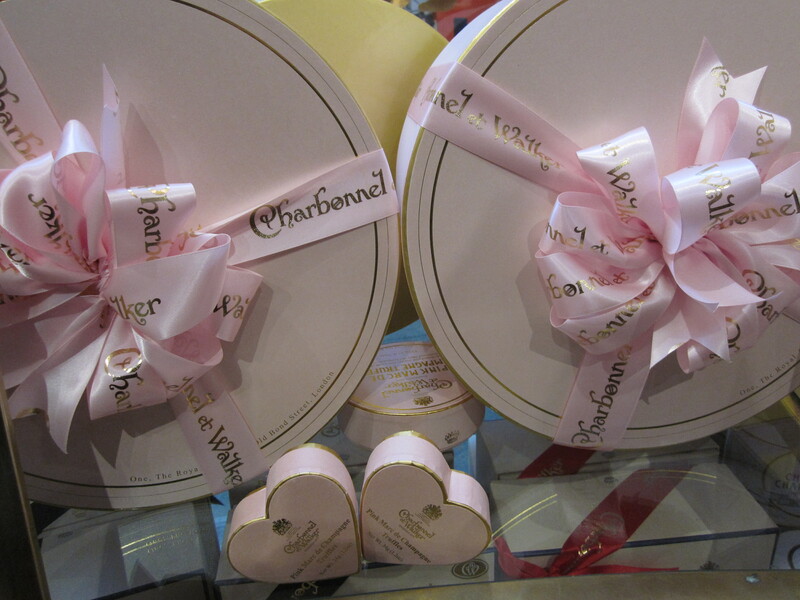 We had a wonderful morning and can’t wait to try out the Chelsea Tour or they’re all day tour to really have a full on chocolate fix. 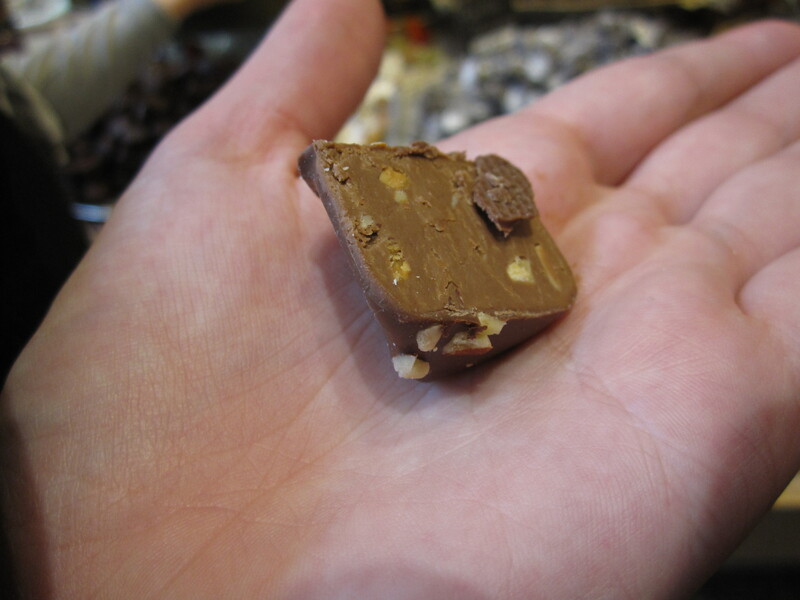 Lindsey was great and full of great information and facts about the area not just on chocolate. 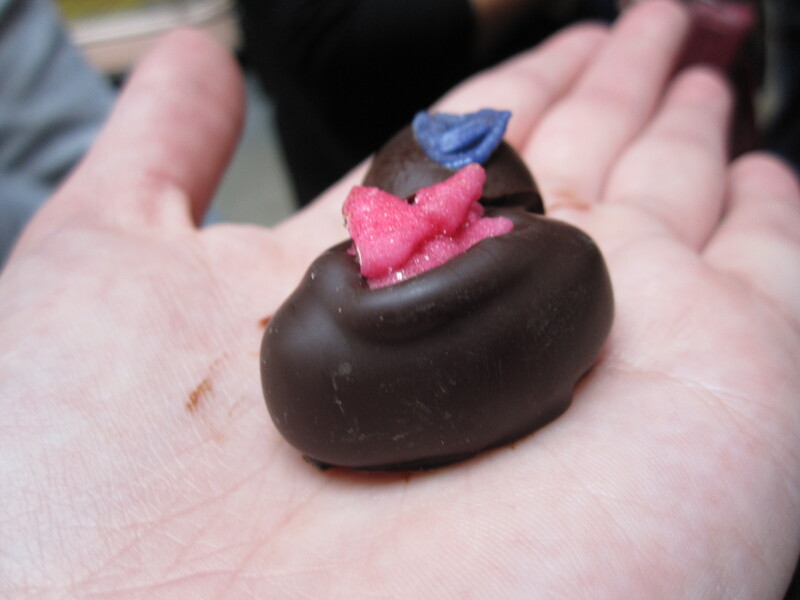 I would truly recommend you treat the chocoholic in your life to one of the tours or actually just yourself if you don’t want to share your bounty! 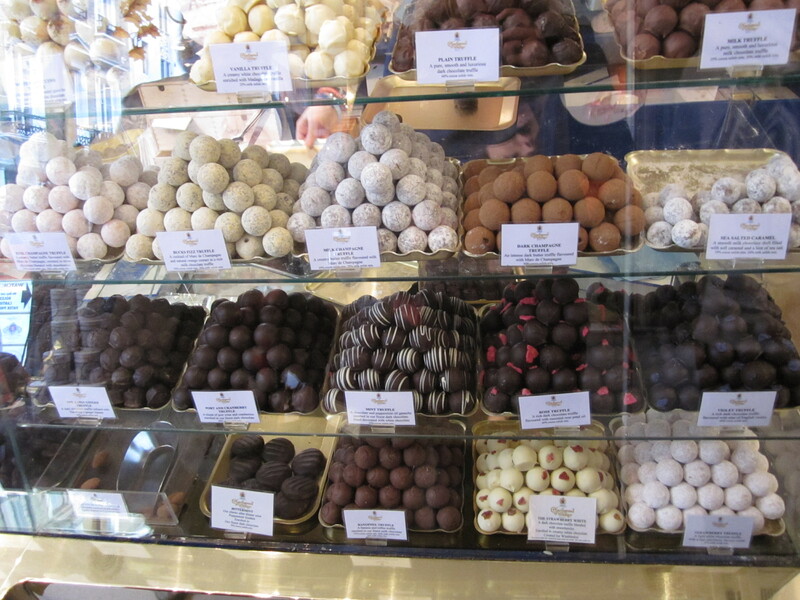 These do look like fantastic tours – enough to out chocolate any chocolate addict…! You should go on the tour! 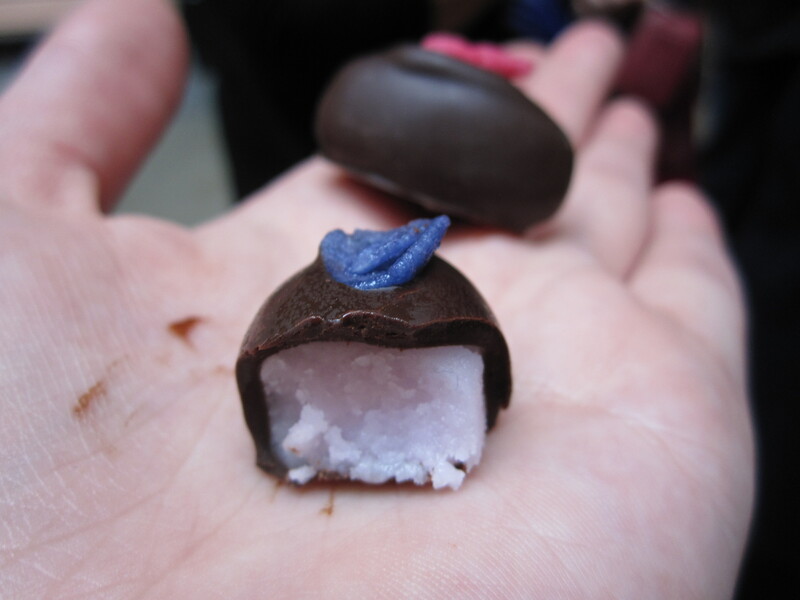 Was fantastic, really informative and fun AND the chocolate!